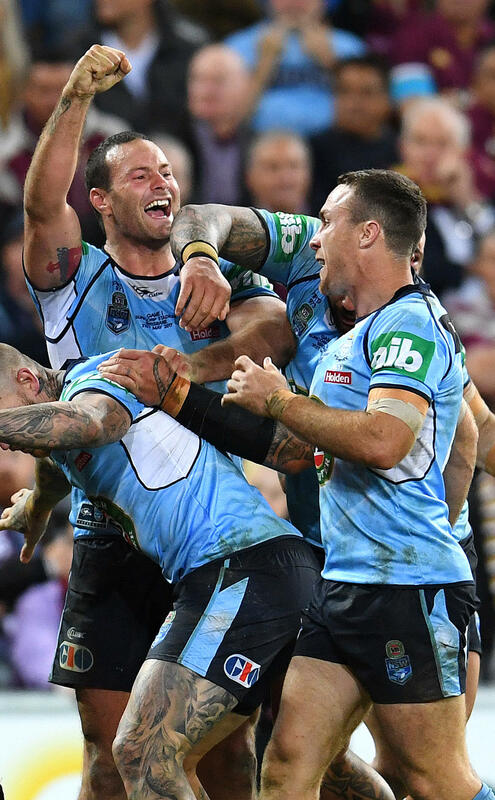 The New South Wales Blues can wrap up only their second series win in thirteen years on Sunday June 24 at home after they ran out ten-point winners over the Maroons in State of Origin One at a packed MCG. However, but for two crucial missed calls it could have been so different. The ten-point winning margin flattered the Blues, who – but for some individual brilliance from a superb James Tedesco – may well have lost. In the 47th minute the Maroons were in the ascendancy. They were up 12-8 after a Dane Gagai try and you could tell that the Blues were starting to struggle mentally and physically, looking around for the leadership that could get them back in a game that was starting to slip away in all too familiar fashion. However, when Angus Crichton’s strip of Gagai wasn’t called by the officials it gifted possession back to the Blues. Instead of having to try and repel another Maroon onslaught on their line on the back of a penalty, the Blues instead attacked the Queensland line, with Latrell Mitchell scoring a crucial try that locked up the scores. Then in the 69th minute Tedesco made a brilliant run from dummy half, splitting the Maroon defence. He was momentarily brought down by Michael Morgan – who was excellent at fullback – before he got the ball to James Maloney. Maloney then passed to Josh Addo-Carr who scored in the corner. The problem was that Maloney’s pass to Addo-Carr was clearly forward, but again it wasn’t picked up. But that’s football. Sometimes you don’t get the calls. There were many predictions pre match that the referees would blow the peas out of their whistles. However – in true big game style – the officials swallowed their whistles instead, awarding just five penalties for the game. Arguably the emphasis was once more on game management rather than rule enforcement. Notably there was no penalty called for the Crichton strip on Gagai. And it was very costly for Queensland. 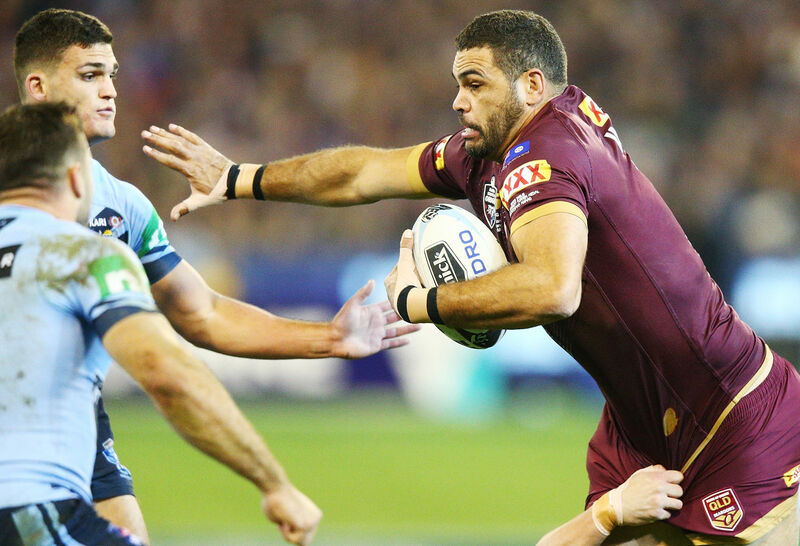 Queensland captain Greg Inglis could not have done more to lead his troops. He may have been born and raised in New South Wales but last night on the MCG he personified the Queenslander spirit. He personally dragged and willed his troops forward in an effort for the ages that, if his side had got those two calls, would have resulted in a victory for the ages. He continually smashed his Sky Blue opponents with brutal defence. His efforts screamed ‘Queenslander’ as loud as it has ever been yelled. He showed the way for his team. I have openly questioned the credibility of Inglis playing for Queensland in the past. I won’t do that ever again. I have no doubt that he is Maroon to the core after that effort. With his side down 8-0 in the 26th minute, Inglis knew he needed to lift his side. Though massively offside, he lined up Tom Trbojevic and smashed him. Players ran from everywhere for some push and shove. It not only lifted his tiring men, who were down 55-45 per cent in possession, it bought them time. In the next set Valentine Holmes saw James Maloney’s pass from a mile away, like his old Sharks teammate was actually passing it to him, and he streaked away to score an intercept try. Inglis also smashed James Roberts, Nathan Cleary and Josh Addo-Carr. Each time he put on a hit his side lifted and regained the ascendency. When his side went ahead 12-8 in the 42nd minute it looked like the Blues might be once more bested by the Maroons. And but for those two missed calls they may have been. While the Blues may have drawn first blood, make no mistake: this series is well and truly alive. Just eight times in Origin history has the side that has won the first game not gone on to win the series, however this could well be the ninth occurrence. Sure, the New South Welshmen got the win, but they did not convince me. They still look like a work in progress. Taking eleven debutants into an Origin game was ballsy. 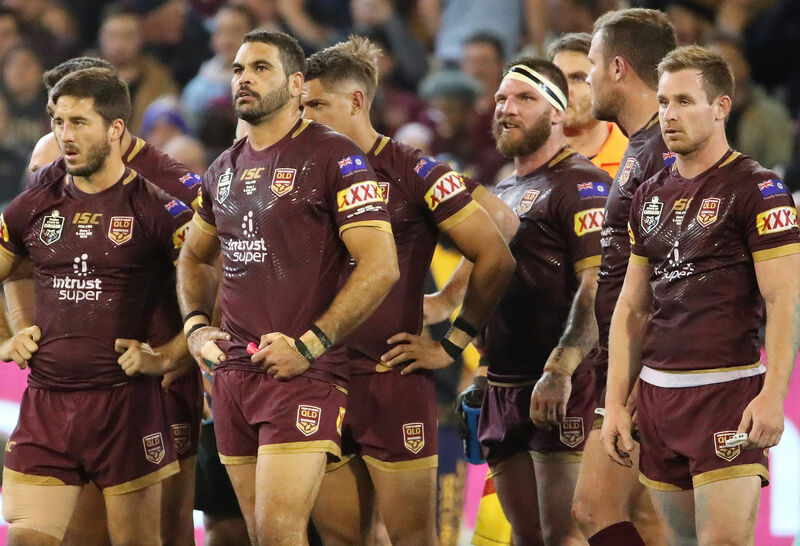 Brad Fittler took a huge risk doing it as there was every chance that those eleven boys – for all of their potential, strength and speed – could have crumbled when the more experienced Maroons put the blow torch to their bellies. While Inglis’ men did get their acetylene torches out on a number of occasions, Fittler’s side only made five errors for the game. Tom Trbojevic, for example, was continually targeted with high balls but took them all. Meanwhile, Will Chambers was doing his best Dylan Walker impersonation all night to try and get Latrell Mitchell to execute one of his patented brain explosions that we know him so well for. However, Latrell would not be baited. However, that doesn’t mean the Blues side clicked. Sure, there were some good performances. Boyd Cordner worked his guts out with 21 runs for 165 metres and 33 tackles – and no misses – is superb stuff. Damien Cook’s 113 metres, a line break assist and 54 tackles for just one miss was as fantastic as we’d hoped. And of course James Tedesco was superb with 210 metres, 11 tackle breaks, two line breaks and two line break assists. He even shaded Inglis’ superb effort. However, it was not a dominant victory by any stretch. And just like last year the Maroons will be able to go back, regroup and assess their side. And they’ll certainly make some changes. Firstly, Dylan Napa will be an unlikely starter on June 24. His six missed tackles and a return of only 82 metres just isn’t good enough. Expect Tim Glasby or Matt Scott to come in for him. Further, I’ll be stunned if Kalyn Ponga doesn’t take Anthony Milford’s bench spot, with Will Chambers’ seven missed tackles also putting pressure on his spot in the side. And of course Billy Slater, with all his experience, leadership and trash talking, will be back to give Greg Inglis some more leadership help. So New South Wales supporters should be very wary of being too cocky. There is nothing more dangerous than the Maroons with their backs to the wall and their effort last night showed me that they are far from done. In fact, if they’d got a few calls that they deserved I think they would have won.